Polish roads to freedom and everyday’s life behind the Iron Curtain. Poland in communist times (1945-1989) might be something that you are quite familiar with: maybe you?ve lived in that times, you exchanged letters with your relatives, you know stories told in your family by the older generation, for sure most of you witnessed what TV showed about the John Paul II travels to Poland in 1979, 1983, 1987. You remember the creation of Solidarity movement, Lech Wałęsa and the Round Table Agreement and first free elections. You have probably followed those events with bated breath and felt a strong bond with this land of your roots You might watch movies, historical documentaries and read books about and from communist times. 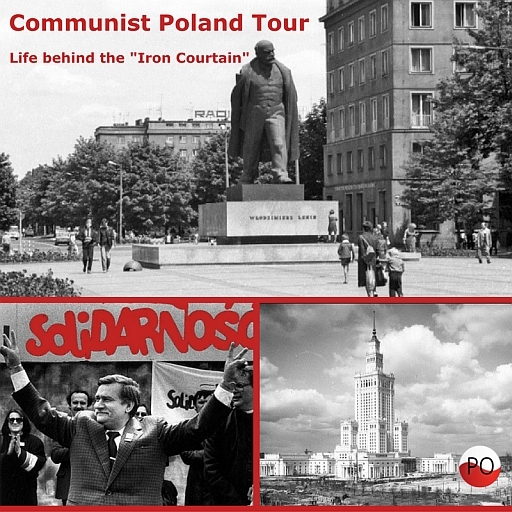 But what was the real, everyday life behind the Iron Curtain? How the big politics and economy affected the daily struggle? What was the role of the Catholic Church in that time? What has changed after the 1989 and what impact this long period in our history had on Poland and Polish people today? We invite you to take this 3-days journey through Poland. Starting in Nowa Huta in the 50’s, finishing in Gdańsk in the 80’s, we will try to tell you about history, about people and culture of these years. Of course, the whole communist era had its different periods. There was much difference between the life just after World War 2, life in bright 70’s, during the so-called ?Gierek’s decade?, and in the economic crisis and martial law in 80’s. We would like to immerse you in the reality of that time. We will not avoid difficult questions, although we know there are no simple answers. Are you ready to have a look from the inside? Day 1. Construction of a new “ideal” city and communism world – Nowa Huta. 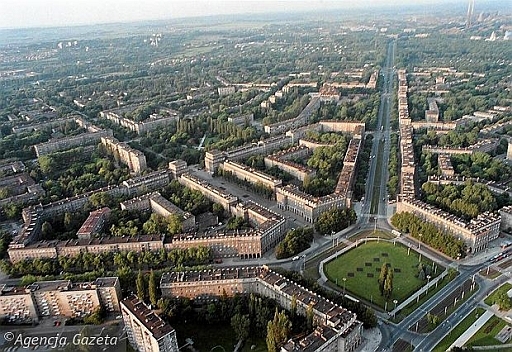 On this day we would like to invite you to Nowa Huta, the district of Kraków, built in the 1950’s as an example of an ideal communist town, was designed for workers of Vladimir Lenin Steelworks, the biggest steelworks in communist Poland. The architecture of Nowa Huta was designed and constructed with an incredible flourish. 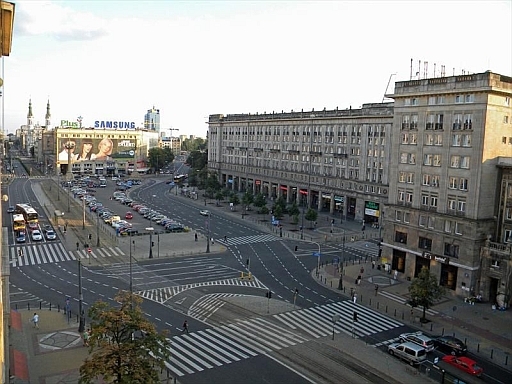 Its monumental urban layout, with the central square and radiating spacious streets, its green spaces, parks, and trees growing on each new street, were supposed to contrast with narrow, dark streets of old Kraków. 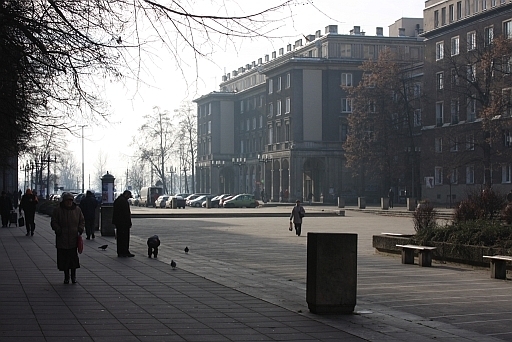 Buildings in the oldest part of Nowa Huta, are now admired as a unique example of social realist architecture in Europe. Day 2. The capital, the Party and the “idyllic” everyday life (Prague district). Today you will be traveling by train (about 2 hours 30 minutes’) to see the capital of Poland, where you can feel the atmosphere of the ‘idyllic’ vibrant, everyday life in communist Warsaw. 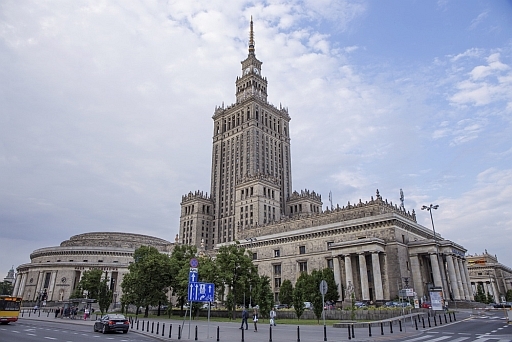 We will show you the most important places which will present the communist-style architecture especially the Stalin’s gift, the symbol of that era – the Palace of Science and Culture with a possibility to tour the basements of this reminder of socialist realism in Europe. Today we will also visit Plac Konstytucji, the model communist city center where the labor class zone was located. One of the goals of our today’s tour will be also to see the Communist Party Headquarters which was called the White House and the Censorship Headquarters with the Free Speech Memorial. During the tour and visit the key places of that period in Warszawa you will also hear some urban legends about the time of communist absurdities. 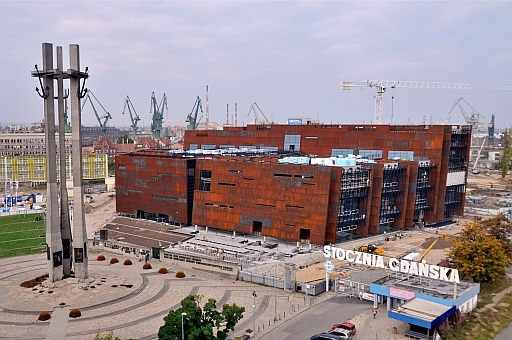 Day 3 The road to freedom – Lech Walesa, Gdansk Shipyard, European Solidarity Centre. Today we are taking you to Gdańsk by train (about 2 hours and 30 minute’s) to show you where the road to freedom began. 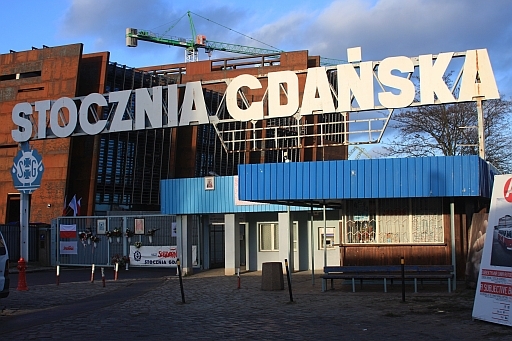 Our guide will recreate the history from 1980’s in Gdańsk where the resistance to the dictatorship of the communist era in eastern Europe was started. Lech Wałęsa, the shipyard electrician was the leader of the strike in Gdańsk, organized by the 17 000 ship builders. The protest supported by intellectuals and the society transformed into a nationwide social movement “Solidarity”. Labor strikes covered the entire country. The strike was recognized as the first non-Communist trade union in the Soviet Bloc. This and some other history can help you to feel the atmosphere, experience and understand everyday life in the communist world in Poland. European Centre for Solidarity with the possibility to see the exhibition ?Road to Freedom? The cost is largely dependent on the number o people and the exact dates o your planned arrival. Please contact us or more information. Total cost includes: English speaking guide in Kraków, Warszawa and Gdańsk, taxi transfers from the airport to your Hotel in Kraków and from your hotel in Gdańsk to the airport,taxi transfers from trains to your hotels, train tickets during the tour, accommodation with breakfasts in Warszawa, Kraków and Gdańsk , guide’s accommodation and breakfasts, entrances to European Solidarity Centre in Gdańsk and entrances to the viewing terrace of the Palace of Culture and Science. Excluded: flights, meals (with the exception of breakfasts), gratuities, additional services as phone calls, laundry etc.